Check out what our Subaru Customers have to say about us! We strive to give you the best experience possible! We want to be your number one Subaru Dealership in Southern California! All I can say is the staff goes above and beyond to take care of their customers. David is the man and I appreciate all the help and service from everyone. I'm loving my new Crosstrek! The folks at Sierra Subaru in Monrovia are awesome! They gave me a great deal on my new Crosstrek! Such an awesome car and I'm very happy! This place has great customer service. Everyone is super friendly and very attentive. 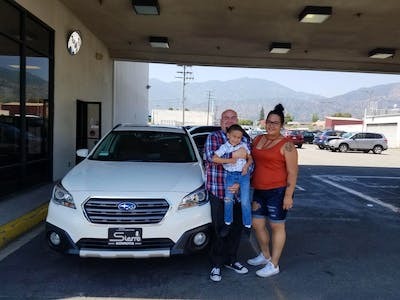 We're super grateful for John Ruiz for helping us purchase our very first Subaru. We can't thank him enough for his great service. I highly recommend this dealer to anyone and everyone. I'm so happy to join the Subaru family and Sierra made it easy for me. I has done my research and knew I was getting a great deal. Everyone was so great and helpful every step of the way: John Ruiz, Will, & Mike in Finance. They took the time to explain everything and options. It was stress free and easy, we were done in less than 2 hours. Highly recommend! Easy to deal with. Well known trustworthy dealership. I really appreciate all they do for me and my family members that have bought cars from the Sierra dealerships. So entire staff from sales to management and finally finance were courteous, knowledgeable and not a pressure type environment. They knew the vehicle and explained with patience, and detail all aspects, so I could make clear choices of what I needed in my car. The team was helpful and very efficient with purchase of two vehicles. Coty was very friendly and accommodating. He made us feel like family and we are very happy with our experience. We never felt pressured or stressed and would recommend to friends and family. I bought an 2017 Outback here and it was great. Everyone is very friendly and polite. The price I got over the internet was very good. I want to mention Leo who patiently showed me how everything in the car works and set up my StarLink account and system. And Steve in finance never rushes anything and answered all my questions. I can't wait for my first Subaru road trip! I came in to the dealer to just look at outbacks. And Coty helped me out I ended up leaving with a 3.6 touring model. I love it and was surprised how non pushy and easy the process was. they treated me like a person and not just another number. Thank you Coty For the experience!! This dealer ship has always been excellent with customer service and Coty really knows his stuff and shows a passion for the cars and the customer. I came in looking for a car for me and my huskies, Leo did a great job explaining my options. He was very detailed in the differences of each car. My dogs love the new car and fit comfortably! I had such a great experience at Sierra and Leo was amazing! He answered all of my questions and took his time with me. It was one of the best experiences I've had. I would definitely recommend him! 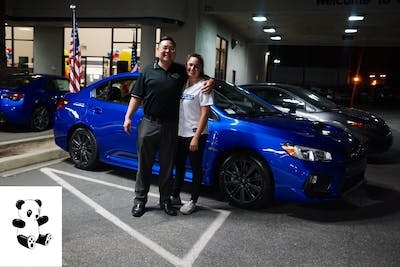 I purchased my first car from Sierra Subaru and they made me feel comfortable throughout the whole preocesss. They gave me great service, but above all they game me a great deal on my new car! If you're in the market for a Subaru I highly reccomend that you stop by. I received warm greeting from Coty, he showed me various models and different options, test drove the car and had no sales pressure. Managed to work out a great deal, and closed the deal, paperwork went smooth and fast. I had a very pleasant buying experience, the way it should be. From the moment I walked on the lot, everyone treated me very professionally and like family. They have a very friendly and hospitable staff. 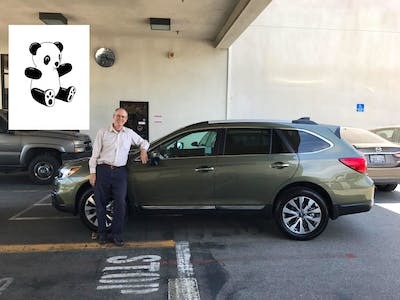 I was nervous at first, but the staff definitely helped make this purchase an easy one and looking back, I'm happy with the car and I'm happy I went with John and his staff at Sierra Subaru. Incredible service, honest staff and great location. I only trust Sierra with my maintenance and purchases. I purchased my Impreza in 2015, have moved since and return to Sierra for all of my maintenance needs. Purchased my car from them, great honest service, no run around, no big up-sell pressure. See the internet manager Edgar Oliva for a fair price and even better respectful customer service! 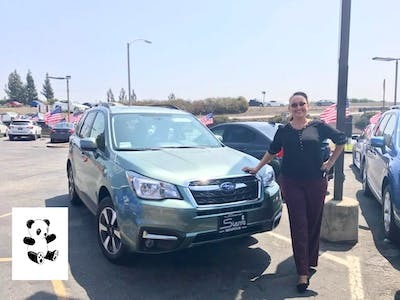 Worth a drive compared to many other local SoCal Subaru dealers! Hands down best serviced I received at a dealership! No hassle online pricing & very knowledgeable sales staff! Picked up a 2017 wrx for 500 under MSRP! Thank you Jimmy & Luis for making my first car buying experience a breeze! I really appreciate it!! We will come back for our next Subaru! Leo was great. Little time wasted going back and forth with numbers. He keeps it real! Great thank you Cody salesmen. Mike in finance. ..
Bought a brand new wrx fully loaded last week.Good customer service and even better customer service if you have good credit.Young and helpful sales staff and an experienced management staff that works with you.New to Subaru, we did our research and the small store atmosphere at Sierra was right for us. Jaime Vega was terrific today. My wife and I took our new Subie in for service today and his attention and service was great. I bought my 2017 wrx here and the staff is very helpful and easy to work with . Vahe (sales manager) made sure my buying process was simple and smooth. I would definitely buy here again. 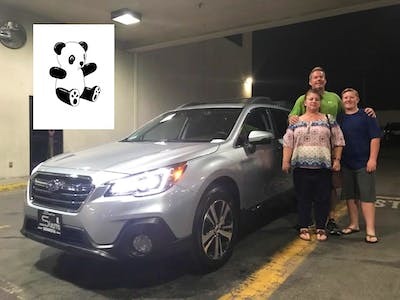 I bought a car about a month ago from Sierra Honda, it was a very pleasant experience, they were willing to work with our budget and gave really good service. I worked with Rob who was very nice and did a great job. Thanks! 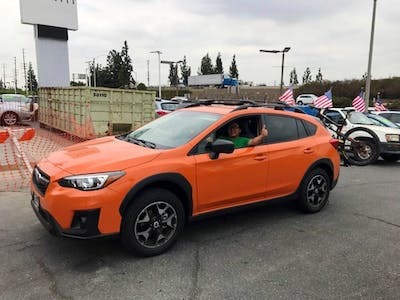 We had an excellent experience at Sierra Subaru! Our salesman, Frank Park, was able to meet our specific requirements at an incredible price. He was professional and courteous and made the entire process as easy as possible. I would definitely recommend going to see him! Friendly, fast, service. Fair pricing and time commitment. Catherine was extremely helpful, honest, professional! The entire team was great and really looked out for our best interest! Thanks Ya'll! Took my Impreza for service today and I was quickly greeted by John R. A service consultant. For the first time in all the new cars I've owend. this is #5. I was surprised for the excellent service I received. I've never left any service department as happy as I did today. Overall my experience at Sierra Subaru has been satisfactory. I dealt with Frank Park at Sierra Subaru. The overall service and experience was great. Frank was courteous and not at all pushy; he was able to answer all my questions. Although I ended up having to purchase the car from elsewhere for various reasons, I would highly recommend this dealership.